Food businesses need to play a role in policing food fraud as Brexit could provide an opportunity for criminals. Sian Edmunds, partner at Burges Salmon, has warned Brexit could make the UK vulnerable to food fraud if it affects information sharing with the EU and an the UK Government did not focus on, or fund, policing it at a national level. But new technologies could be utilised such as Blockchain and DNA testing to confirm food really is what it claims to be. The biggest threat would come from ‘passing off’ food as something it was not, such as happened during the horsemeat scandal, where there was not a major threat to health but consumers were duped into believing they were buying beef. Ms Edmunds said one positive of the scandal had been to improve information sharing across the EU, but there was already anecdotal evident Brexit had seen the UK ‘slip to the bottom of the list’, highlighting the recent scandal surrounding unlawful levels of fipronil in Dutch eggs. “It is surely in both the EU’s and the UK’s best interests to ensure that information continues to be shared post-Brexit as fraudsters do not generally respect political borders,” she said. She added once the UK left the EU, it would have to check and process all its own imports, from the EU and elsewhere. But with it seeming likely the UK Government would be ‘unable and unwilling’ to focus on policing fraud in the food chain at national level and the borders, Ms Edmunds suggested food businesses needed to play a strong role in tackling food fraud and protecting their brands. Visiting suppliers regularly, verifying changes to delivery addresses and examining where new orders were coming in from were some simple ways to reduce the risk. She added supplier audits could also help combat fraud if there was a willingness to share information. 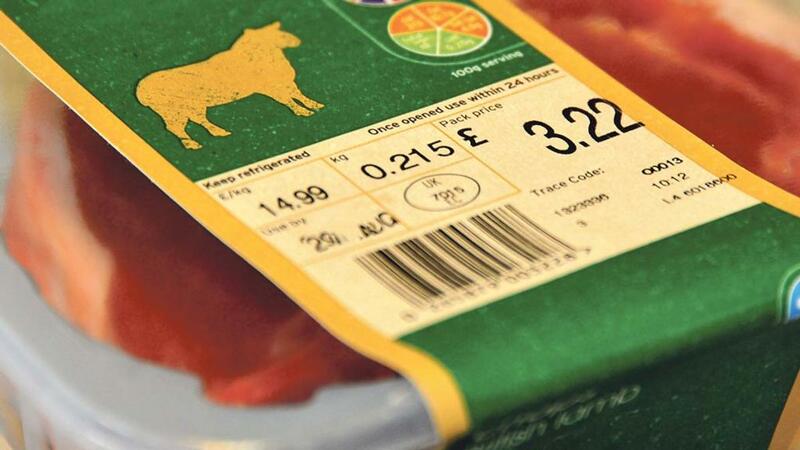 Blockchain technology has the potential to bring ‘food traceability into a new era’, according to global certification experts Bureau Veritas. With consumers increasingly expecting greater transparency, UK certification managing director Joy Franks said the stumbling block had been complexity. Blockchain technology acts as a record of events throughout the supply chain, with each party in the chain recording every transaction meaning every part of the process is traceable. Ms Franks said it meant it did not need one ‘all-powerful’ party it or an independent third party present at every stage, ‘making it a quicker, cheaper and more efficient process’. Ms Edmunds said businesses were already harnessing blockchain technology to verify where products had come from, and it was also adding value to their products. Adding harmless vitamins to foods which would not normally appear, called ‘tracers’ could also verify whether products on the shelves still contained them or whether it had been substituted. And smartphones could also be used to scan products to enable checks to be carried out easily.